Sanki leisure’s representative will meet you at the Bandaranaike International Airport and take you to your hotel in Anuradhapura. 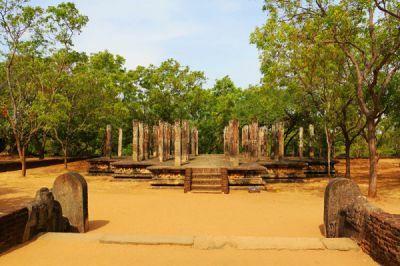 In the afternoon, you will go on a city tour of the first capital of Sri Lanka, Anuradhapura. You will see the remains of the Brazen Palace (which was once 9 stories high) and the Sri Maha Bodhi a Bo Tree, which is over 2000 years old and grew from the branch of the very tree beneath which the Buddha attained enlightenment. At the end of the tour you will return to your hotel for dinner and your overnight stay. ​After breakfast, you will visit the ruins of the Ruwanweliseya Dagaba. You will see the 2nd Century BC shrine containing the Buddha’s collar bone relic, the Abhayagiriya temple and the Jetawanaramaya dagobas. Next is a visit to the Kuttam Pokuna (also known as the twin ponds) and the Samadhi Buddha, a statue of the Buddha in a meditative pose which is being acknowledged worldwide as a masterpiece. Then, you will proceed to Polonnaruwa, the second capital of Sri Lanka in the 11th and 12th centuries. You will visit the ruins of the Royal Palace, the Lankatilleke Vihare (3rd century AD) the Thuparama Dagoba and the Gal Vihare, three splendid statues of the Buddha in upright, sedant and recumbent postures carved out of a large rock. 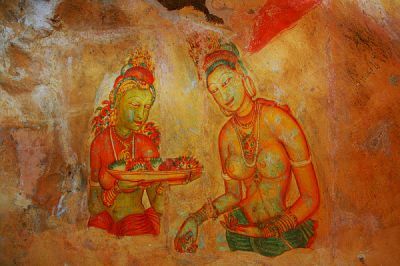 Other interesting sights are the Lotus Bath, Tivanke Image House with the best known Buddhist frescoes of Sri Lanka, and man-made Parakarama Samudra built by Parakarama Bahu the great. At the end of the tour, you will check in at your hotel in Sigiriya. After breakfast, you will visit Sigiriya and climb the Rock Fortress built by King Kasyapa the Patricide (473-491) who was considered a god king. Having climbed the rock, you will encounter the remains of the Palace and its environs and see the famous frescoes. En route to Kandy, you will visit the Dambulla Rock Cave Temple and stop at a spice garden at Matale. In Kandy, you will visit the Temple of the Tooth Relic and witness cultural dance performance. 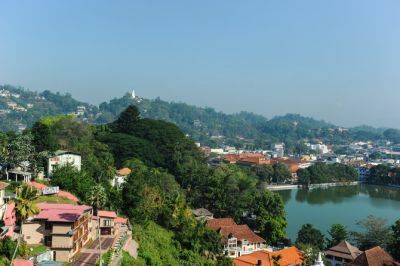 After breakfast, you will go on a tour of Kandy and the Upper Lake Drive. You will proceed to Colombo, stopping to visit the Royal Botanical Gardens at Peradeniya and the Elephant Orphanage at Pinnawela. At the end of the tour, you will be taken to Colombo or transferred to the airport for your departure.